Hi everyone! 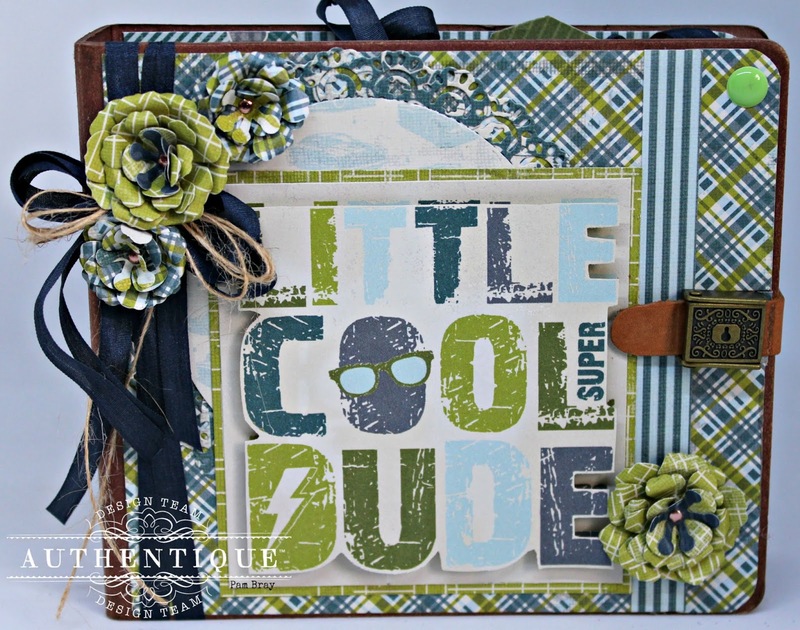 I am so happy you stop by to check out my Little Cool Dude Mini Album using Authentique Youngster Collection! The Youngster Collection is just so perfect for all you cool dudes in your life. Adhere the beautiful Youngster pattern paper to the front of the cover; wrap ribbon around cover and tie in a bow. Fussy cut the "Little Cool Dude" Epherema card and add to front of cover with pop dots. Adhere flowers to front of cover along with twine bow and enamel dot. 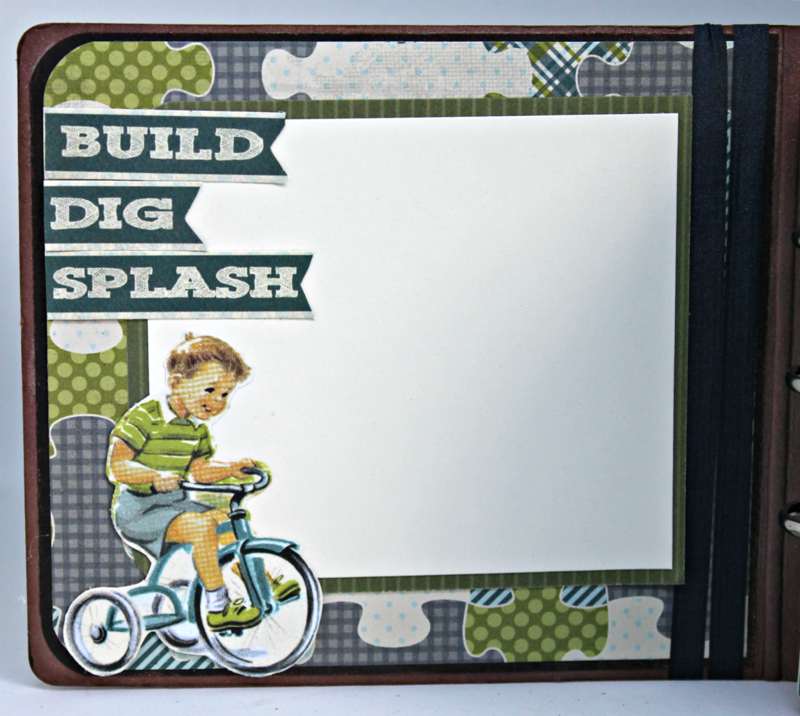 Adhere patter paper to inside cover along with fussy cut images. Add photo mats to each page. Along with pieces from the Youngster Elements Sheet. Form pockets on a few of the pages. Hidden waterfall pages to create addition pages for photos or journaling. Fussy cut images from Youngster Epherema patter paper and layer with pop dots. Add smaller Youngster Elements to hold the waterfall pages closed. Place tags or ATC cards inside of pocket. Supplies: Products linked in list for your convivence. This blog is compensated to provide opinion on products, services, websites, and various other topics. Even though the owner(s) of this blog receives compensation for our posts or advertisements. I always give my honest opinions, findings, beliefs, or experiences on those topics or products. The views and opinions expressed on this blog are purely my own. 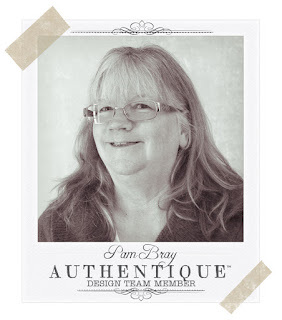 Any product claim, statistic, quote or other representation about a product or service should be verified with each manufacturer, provider, or party in question.This blog contains affiliate links, clicking and shopping through these links helps to support and run Pam Bray Designs - Scrapbook Flair Blog at no additional cost to you. Today's features are Authentique Products.